An Annie Award is animation’s highest honor. 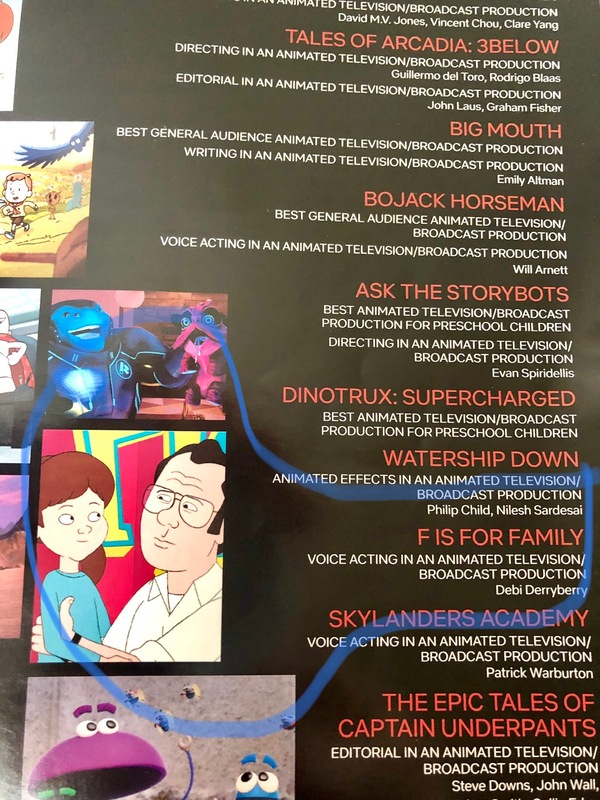 Debi is honored to be nominated in the category for Outstanding Achievement for Voice Acting in an Animated Television / Broadcast Production for her work in the Netflix hit-series: in F is For Family. For 3 stellar seasons Debi is the voice of 6 characters: Maureen, Bridget, Phillip, Nurse Beatrice, Scott and Ken! January 24, 2019 Netflix announced it’s renewal for another season. Stay tuned for more in season 4!